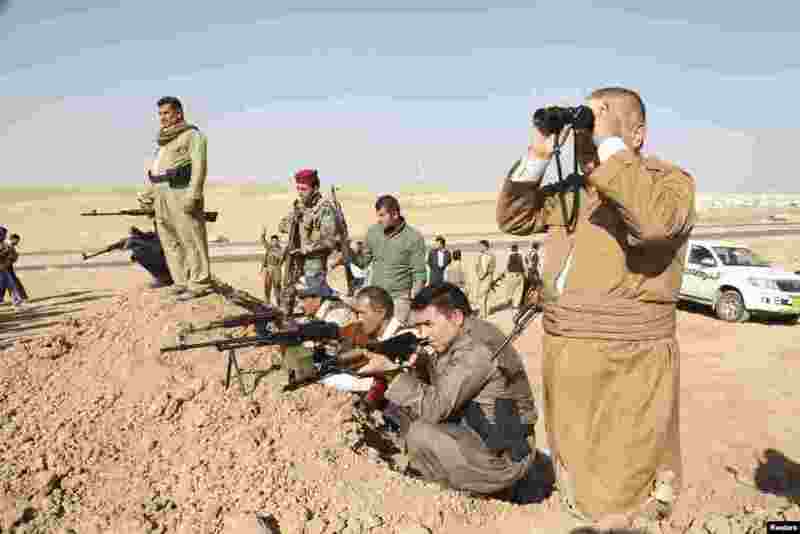 1 Kurdish peshmerga troops participate in an intensive security deployment against Islamic State militants on the front line in Khazer. U.S. warplanes bombed Islamist fighters marching on Iraq's Kurdish capital after President Barack Obama said Washington must act to prevent "genocide". 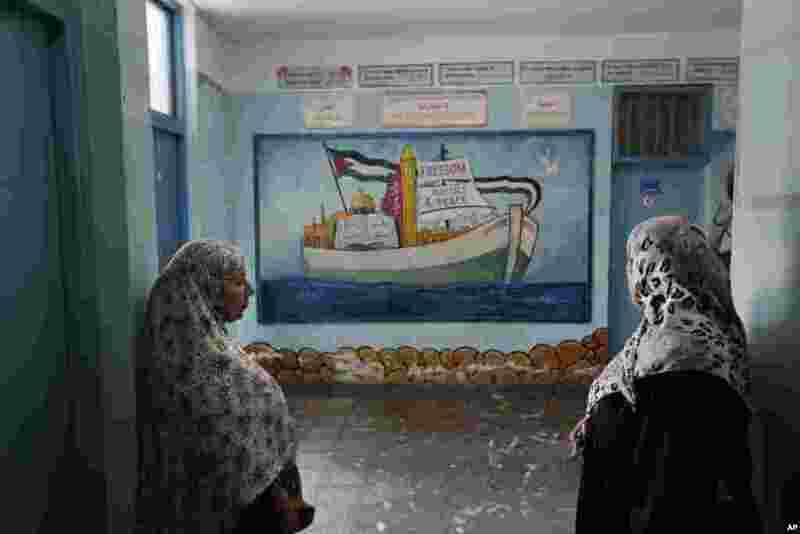 2 Displaced Palestinians stand in the hallway of a U.N. school where families are taking refuge during the war, in Gaza City, Gaza Strip. 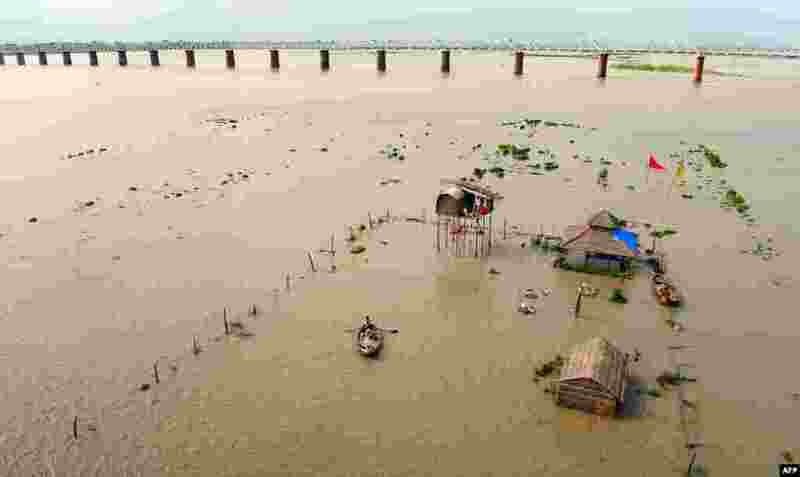 3 An Indian boatman rows passengers from submerged huts of 'sadhus' - holy men - on the flooded banks of the river Ganga after water levels rose, in Allahabad. Heavy rain in several areas of north India has caused rivers to reach dangerous levels. 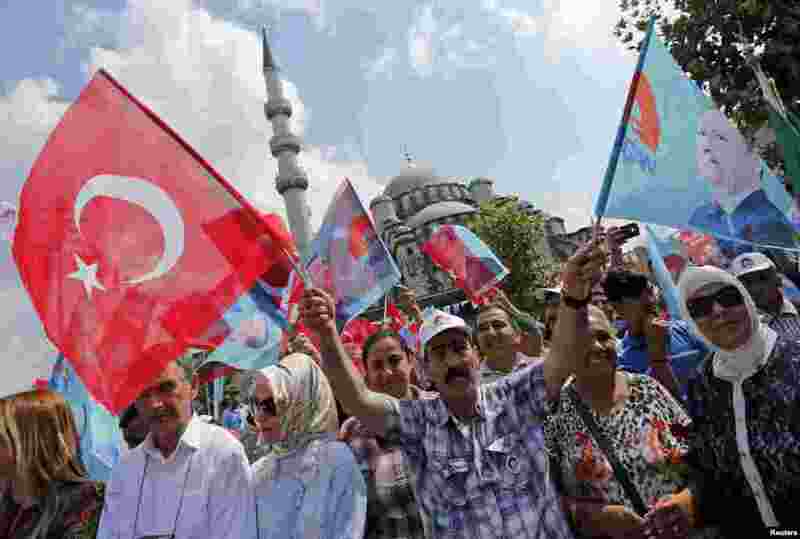 4 A supporter waves flags during a gathering in support of Turkey's Prime Minister and presidential candidate Tayyip Erdogan in Istanbul. Erdogan is set to secure his place in history as Turkey's first popularly-elected president on Sunday.